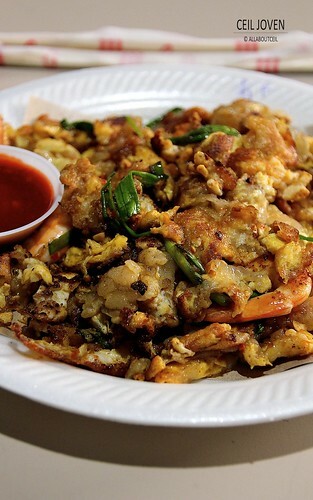 ALL ABOUT CEIL: Fried Prawn Omelette. We seated right next to this stall. 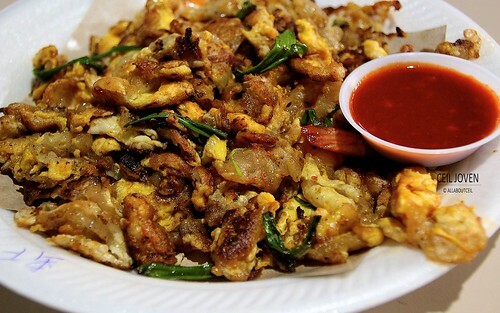 This stall is offering Fried Oyster Omelette, Fried Prawn Omelette, Fried Hokkien Mee, Fried Kway Teow, Fried Carrot Cake and Fried Tang Hoon. Most items are in the selection of $3, $5, $8 and $10. 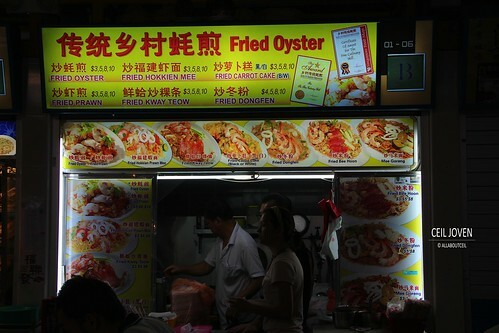 Fried Prawn Omelette seems to be an interesting choice as most stalls do not have it. I decided to have it at $3. I ordered, given my table and proceeded to wait at the table. 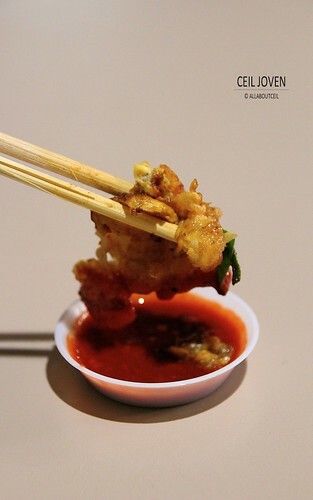 It was served in 10 minutes on a disposable plate with disposable chopsticks. This stall is not as popular as other stall offering the same items so the waiting time is rather short. I would think the portion is justifiable for $3. A generous amount of egg was added to make it desirable. The egg then incorporated with just the right proportion of tapioca flour and pan fried well to give it the awesome crispiness. It was garnished with bits of spring onions to enhance its flavour further. 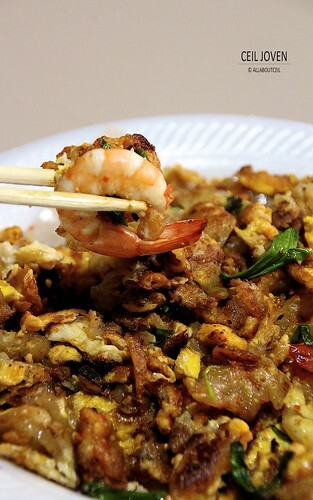 There were only 3 pieces of prawns in it though but it somewhat justified the price paid. Though not the best but it is quite an appetising dish it as side. A saucer of their special chilli is served along with it. The level of spiciness of the chilli was not dominating. It does added flavour when lightly dipped pieces of egg omelette into it.